If you are on the lookout for a cost-effective, but feature-rich overlocker sewing machine, this Bernina Bernette B44 overlocker machine might be a smart investment. This will provide you, the hobbyist sewer, whether you are a seasoned expert or a beginner, with an array of features in a small and compact machine that gives you excellent value for money. 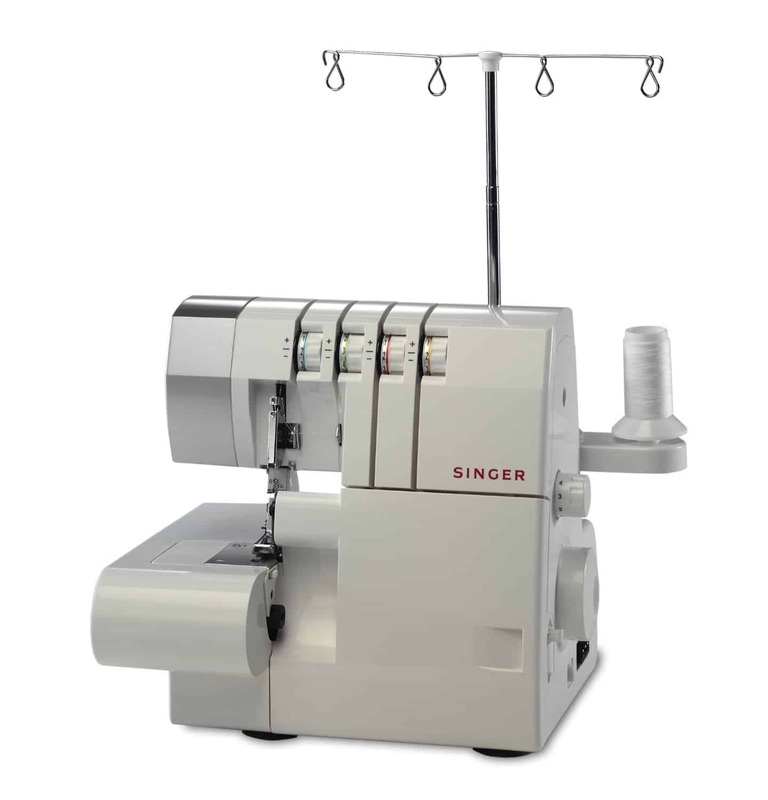 It is worth delving under the cover a little and taking a closer look at this overlocker machine, to help you have all the information you need about it so that your decision to buy it is made with all facts to hand. 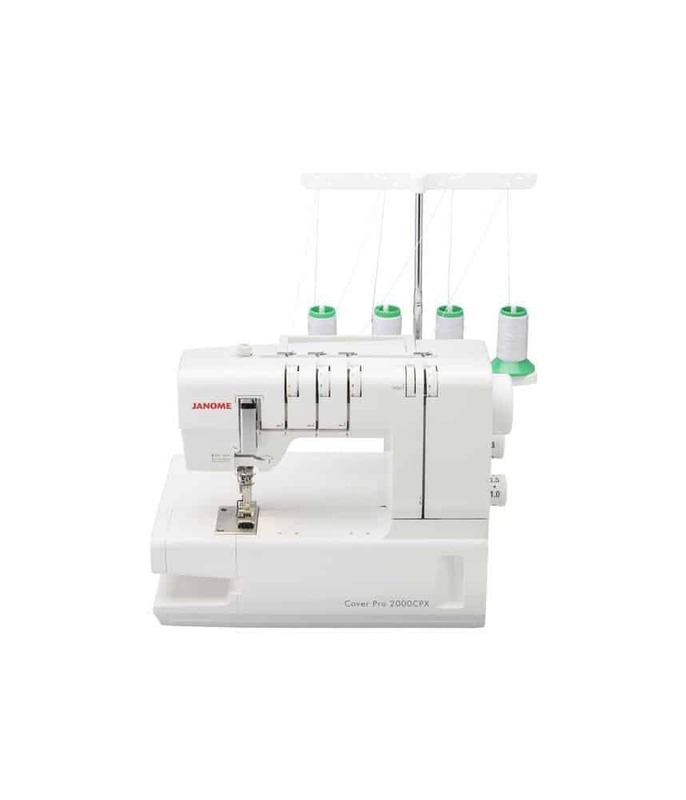 One of the major benefits of parting with your hard earned cash for the Bernina Bernette B44 is the fact that it has been designed and manufactured to work well with a wide variety of common fabrics. The key reason for this is the differential feed. The differential feed is the part of the machine that controls the movement of the feed dogs under the presser foot. This is essential as it prevents stretching, gathering and puckering of fabric as you work with it. 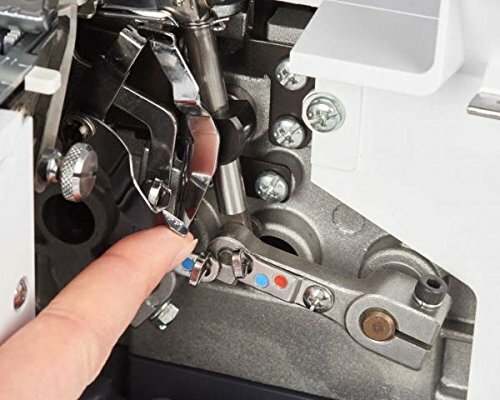 This overlocker machine has a differential feed that can be set between 0.6 and 2 mm. 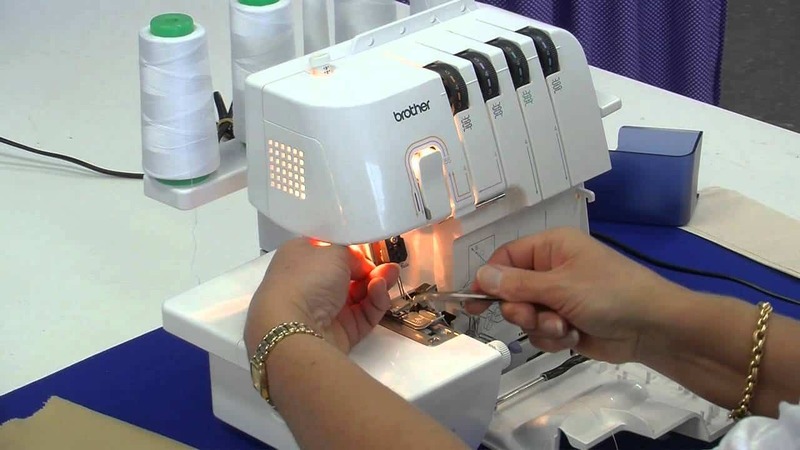 If you are familiar with overlocker machines you will know that one of the most complicated aspects of setting up this type of sewing machine is the threading. 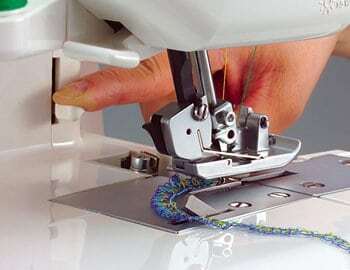 With this in mind, Bernina have ensured that threading is relatively simple. With a colour-coded and open thread path the B44 is as easy to thread as A, B, C (or the relevant colours, to be more precise). Simply feed the thread into the guide and then through the lower lower and then use the colours to complete the task. 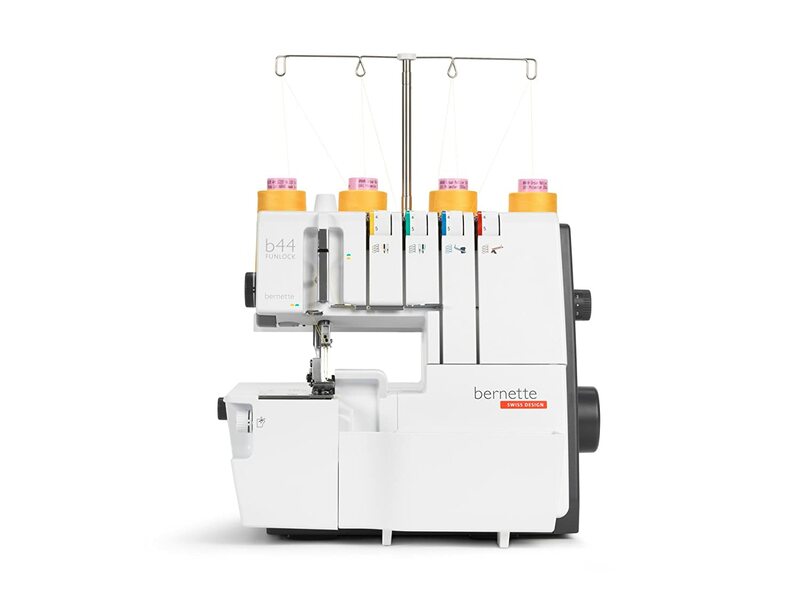 As this Bernette overlocker machine is so easy to use, whether you are a beginner or a pro, there is a lot you can do with it. There are 15 different stitch patterns to choose from with the option of 2. 3 or 4 threads to make it flexible and increase the flexibility when it comes to choosing stitches. It’s not just quantity of stitches though, the Bernette B44 enables you to create professional quality stitches and with the added bonus of 2, 3 and even 4 thread seams, you can give your sewing projects stunning finishing touches such as rolled hems with widths as much as 1.5 mm. You will find that when you use this Bernina overlocker your sewing is always precise, even when working at 1300 stitches per minute. It will even sew and cut tougher and thicker pieces of fabric with the same precision and ease, in one single and smooth step. The seam allowances that are cut off during the sewing process are dropped into the on-board waste collector. The Bernina Bernette B44 overlocker measures approximately measures at 42 x 36 x 34 cm and it weighs a reasonably light weight of 9 kg. 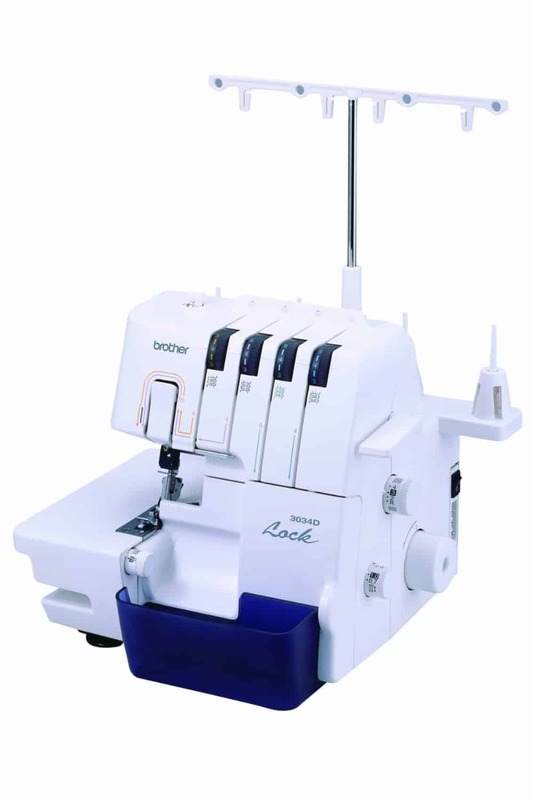 We found it hard to find any real faults with this overlocker machine based on the price and the type of functionality and versatility it offers any sewing. However, the fact that it does not have an LED screen puts it at a distinct disadvantage compared to other models out there, even in a similar price bracket. 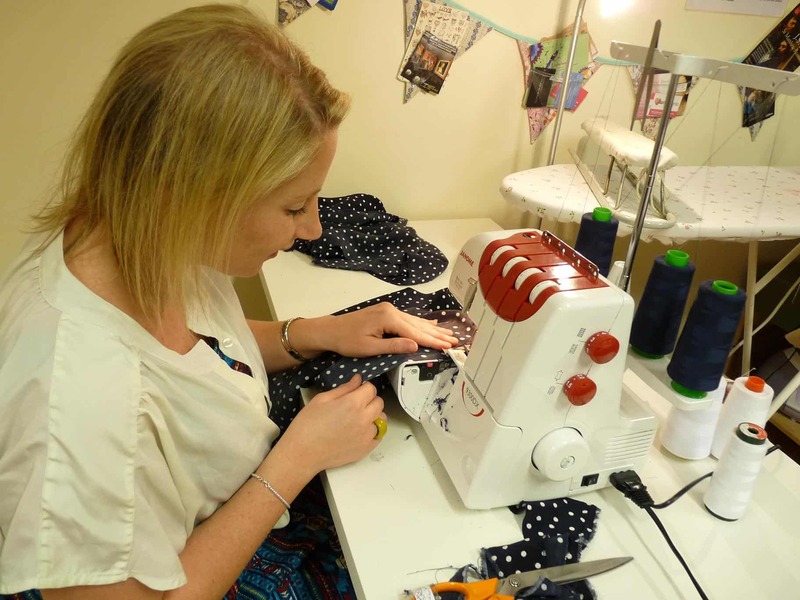 Although there are not many reviews from customers about this particular Bernette overlocker machine, based on reviews of other models from the manufacturer – it is safe to say that this is likely to be money well spent. Whatever you are looking to do, whether you are a newbie to the world of sewing and overlockers or this is your second, third or even fourth machine…this Bernina Bernette B44 Overlocker has a lot going for it. 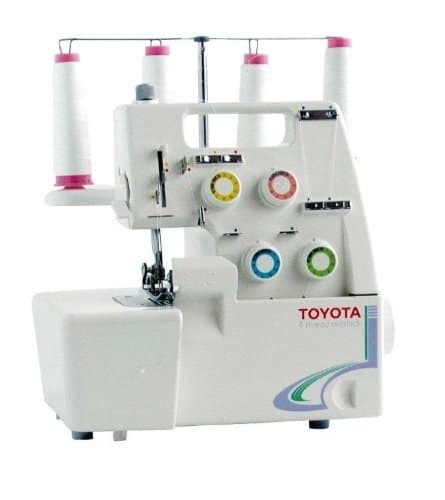 It is a fairly easy machine to set up and get started with, is easy to use and is capable of handling a variety of different fabrics and different hemming and sewing techniques. As it is mid to low in price, lightweight and fast, you can’t argue with its value for money.